Dr. Barbara Hodges speaks to a group of students at Western University. Dare to Do and Disasters: Across the Globe, In this Country, or Even in Your Backyard - You Can Make a Difference! Dr. Block utilizes his 20+ years of experience as a co-owner of a 47-doctor emergency and referral hospital to highlight some of the challenges and successes that can come from common-sense medical care. He reviews common medical conditions seen in small animal veterinary practice, such as Parvo virus infection, feline urethral obstruction, gastroenteritis and rat poison ingestion, with a particular emphasis placed on ways to optimize care while minimizing costs. This lecture will discuss why genetic selection for brachycephaly or short-nosed dogs, is a significant welfare issue. Symptoms, risk factors, emerging diagnostic tests, and measures the profession can take to improve the problem will be discussed. Obesity is a modern day epidemic in people and companion animals. This lecture will discuss the detrimental effects of obesity on animal welfare, scientific data on DVM compliance with diagnosing and discussing obesity with clients, and will examine ethical concerns. Discrete recommendations are suggested to guide veterinary professionals to better address pet obesity as a One Health problem. Lack of access to veterinary care is a complex societal problem with multiple causes but it is primarily associated with low socioeconomic status. Simply stated, millions of pets do not receive adequate veterinary care because the costs are beyond the family’s ability to pay-making access to veterinary care the most significant animal welfare crisis affecting owned pets in the United States. It results in the suffering and premature death of pets, the sorrow and heartache of pet owners, and the anguish and grief of the veterinary professionals who have the knowledge, skills, and desire to provide care. Increasing access to veterinary care is a societal goal-that is, all pets deserve some level of veterinary care. This session shares the results of a national population study of barriers to veterinary care that pet owners face, and what veterinarians know about the problem and their attitudes and practices regarding it. In addition, AlignCare™, a research and development project of One Health veterinary care, funded by Maddie’s Fund, will be presented. AlignCare™ improves access to veterinary care by aligning family support social service and public health entities with veterinary service providers, using charitable donations from foundations, businesses, and private citizens. This was a terrific, thought-provoking lecture which reminded me of the reasons I went into this profession. As an animal advocate and veterinary professional, one of the most important tasks you may undertake is recognizing and reporting animal cruelty. This presentation will provide guidance on recognizing animal cruelty, including abuse and neglect, and understanding the veterinary professional's responsibilities in reporting these cases to the appropriate authorities. This was excellent and I felt that information was presented that we would not get in our education here at school. I thought Dr. Graves was very real and did not sugar coat the information - which was greatly appreciated. This talk reviews the 19th century concerns re animal research & how those might influence or explain the modern debate and then reviews the trends in attitudes to animal research and science, discusses the various ethical approaches to the issue, outlines the current regulatory framework, reviews selected campaigns and case studies and closes with a discussion of intersections between the veterinary profession and the animal protection movement. Growing public concern regarding animal welfare has led to an emerging topic in veterinary medicine: how to assess the welfare of animals. Animal welfare concerns not only physical health, but also the state of the animal's mind and the extent to which the animal's nature is satisfied (i.e., “Body,” “Mind” and “Nature”). Because of this complexity, assessment of animal welfare presents many challenges and there is yet to be a universally-accepted method. Various frameworks have been suggested, and their application – no matter what method is used – requires knowledge of animal health and production and species-typical behavior. This presentation reviews the components, challenges and proposed methods of assessing animal welfare. Some of the methods used to assess welfare have tended to focus on measures of production and/or environment (e.g., housing). Such measures are relatively easy to obtain, whereas many animal-centered outcomes are qualitative and difficult to assess. Yet failure to include animal-centered outcomes can lead to flawed assessments. There will be specific examples using companion animals, captive marine mammals, and farm animals. The case for animal-centered outcomes (i.e., from the perspective of the animal) will be made. A growing concern for animal welfare and increasing public appreciation for positive social impact by animal care professionals opens up numerous exciting opportunities for us to make a long-term impact on the health and well-being of animals as well as the people that live with them…and have an amazing experience doing it. With a focus on disasters, this hour will be a pictorial tour with Dr. Barry Kellogg on some of the projects that he has been fortunate to have been able to take part in. Travelling within the U.S. or to China, Mexico, Philippines, Haiti and Egypt, these adventures serve as examples of opportunities that are available if you just “Dare to Do.” Whether it is de-horning rhinos to eliminate their value to poachers, responding to a disaster or preparing for one, taking part in and shutting down an animal fighting ring, being a part of a major puppy mill bust, volunteering or teaching animal care or surgical skills in rural settings here and abroad, performing wellness clinics in under served urban communities, intervening on behalf of animals can make a big difference This talk will also a look at the many types of disasters, both natural and man made, with a look at planning as an attempt to minimize their impact. Dr Kellogg has responded to a wide variety and scope of Disasters (from 911 to Hurricane Katrina) and shares his experiences to help in the planning process. This lecture will provide students an overview of the growing antimicrobial resistance crisis and the veterinarians’ role in helping to mitigate it. The primary focus will be on antimicrobial use in livestock intended for food. Attendees will learn the most up to date information about efforts in California to bring about positive change. Veterinarians are often faced with conflicts between the desire to help animals and the clients' difficulties in meeting the increasing costs of our medical care, as well as our employer’s policies and expectations. This interactive talk will help you consider the conflicts you will likely face as a practicing veterinarian trying to balance competing interests. Convenience surgeries, such as cat declawing, ear cropping and tail docking, have no medical benefit, but are still performed by many veterinarians. This presentation reviews these procedures and explains some of their negative side effects. It also includes information about alternatives and how to effectively explain them to clients. This lecture will discuss the frequency with which veterinarians, pet owners, and animal companions are affected by economic limitations, the most common resources used to mitigate this problem and their impact on animal care, to what extent veterinarians are informing and educating pet owners regarding costs of care and payment options before patient illness occurs, obstacles to veterinarian compliance in educating clients on this topic, the influence of costs of care on professional recommendations, career satisfaction and professional burnout, and discuss proposed areas for improvement. This talk reviews overall trends in dog and cat populations, reviews the number of animals handled by shelters and the outcomes for those animals, how this data has been used to track trends and discusses various benchmark statistics. This talk provides an in depth look at the many types of disasters, both natural and manmade, with a careful look at planning as an attempt to minimize their impact. The presenter has responded to a wide variety and scope of Disasters (from 911 to Hurricane Katrina) and shares his experiences to help in the planning process. This talk outlines some of the challenges for humane management of dogs in developing countries and discusses high-volume same-day sterilization and return approaches and how they can be safely implemented for the dogs (small incisions and short surgery times appear to be very important) and how they are beginning to change the way municipalities in developing countries are beginning to approach street dog management and bite/rabies control. Early-age spaying and neutering is the most effective means of preventing unplanned litters of kittens and puppies. The procedure is less stressful on a juvenile patient and is an easier surgery for the veterinarian to perform. This presentation provides examples of surgical sterilization of a kitten and a puppy and includes discussions about anesthesia protocols, surgical techniques and recovery factors, as well as video clips. What you need to know about the numbers of exotic companion animals that are flooding shelters, including basic husbandry and medical care. An overview of best spay/neuter methods for rabbits, guinea pigs, and sugar gliders will also be provided. Great speaker, fun presentation - a unique topic that needs to be heard about more! I would love to do an externship focused on the needs of exotic companion animals with Dr. Schneider! More than three-fourths of veterinarians in the United States practice small animal medicine while there are sixty times more farmed animals killed for food in this country than dogs and cats. This presentation summarizes the current conditions in which farm animals are raised and slaughtered in the United States, provides an ethical argument as to why small animal veterinarians should be concerned about farm animals, and provides a variety of ways small animal veterinarians can use their expertise to make a difference in improving the welfare of these animals. The veterinary community plays a critical role in helping solve the cat overpopulation crisis by participating in trap-neuter-return (TNR) programs and providing accurate information on feral cat health and wildlife impacts. This presentation summarizes our current understanding of feral cat management and reviews the elements of a successful feral cat spay/neuter clinic. There are more than thirty thousand species of fish--more than all mammals, birds, reptiles, and amphibians combined. But for all their breathtaking diversity and beauty, we rarely consider how fish think, feel, and behave. This poignant presentation explores recent discoveries on the most misunderstood vertebrates of all. Dr. Jonathan Balcombe’s latest book, What a Fish Knows, was released in 2016 by Scientific American/Farrar, Straus and Giroux. A growing concern for animal welfare and increasing public appreciation for positive social impact by veterinarians means that involvement in community animal welfare activities and the operation of a profitable practice need not be mutually exclusive. This presentation provides case studies of veterinarians who have sustained profitable practices while focusing on essential therapeutic services, such as low-cost sterilization, declining to perform cosmetic surgeries, and working with rescue groups and shelters. The bond between the homeless and their pets is very strong due to the social isolation and dysfunction that exists on the streets. Providing care to pets of the homeless and near-homeless is one of the biggest challenges facing veterinary medicine. In this talk, Dr. Geller discusses the work of The Street Dog Coalition and other non-profits involved in this work, and also presents opportunities for student involvement. Awesome to hear a vet talk about this because I've always wanted to start something like this. Thank you, this presentation has inspired me!!! You’ve graduated from veterinary school…now what? This talk will cover factors to consider during your job search—including welfare issues you may want to ask about during your interview—the advantages and disadvantages of corporate medicine and the different compensation packages you may be offered. Best suited for third- and fourth- year students. It is a sad fact that the intentional poisoning of animals occurs on a regular basis. Most cases involve either neighborhood pets or wildlife. In many situations, law enforcement or regulatory agencies become involved in case investigations and there is always the potential for litigation to occur. Veterinarians play critical roles in: 1) recognition of possible malicious poisoning cases, 2) collection of proper antemortem or postmortem samples for the diagnosis of specific toxicant exposure, 3) advising owners and law enforcement or regulatory agency personnel about case details. This presentation is designed to provide the proper tools to help recognize and resolve malicious animal poisoning cases. To ensure animal protection and welfare, collaboration and coordination is critical among three groups: the veterinary profession, animal protection organizations, and law enforcement. Their missions are unique yet interdependent. We all must strive to ensure better communication and respect for one another. To not do so will be to the detriment of animals. The expansive puppy mill industry raises many animal health and welfare concerns. Although the conditions vary widely in quality, puppy mills are typically operated with an emphasis on profits over animal welfare and the dogs often live in substandard conditions, housed for their entire reproductive lives in cages or runs, provided little to no positive human interaction or other forms of environmental enrichment, and minimal to no veterinary care. This presentation defines what makes a breeding facility a puppy mill, reviews the number of puppies that come from puppy mills and how they are sold, showcases the common health problems seen in dogs bred in these environments and the impact on the puppies, puppy buyers, animal shelters, and other organizations. This presentation delves into some hot-button, day-to-day ethical dilemmas faced in practice and in the profession. Deciding if a wild animal can be rehabilitated can be a daunting task for a veterinarian. Whether you are planning to specialize in wildlife medicine or help triage until transfer to a local rehabber, this presentation will give you the fundamentals, Intake, triage, handling, and species specific treatments are covered, as well as zoonotic diseases and what to take into consideration before release. Legal issues are also discussed. This talk was really awesome and inspiring to take action in our community and our world. Veterinarians can make a difference in helping people as well as our global species population. 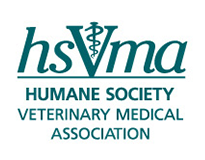 Priority scheduling will be granted to schools with HSVMA Student Chapters.